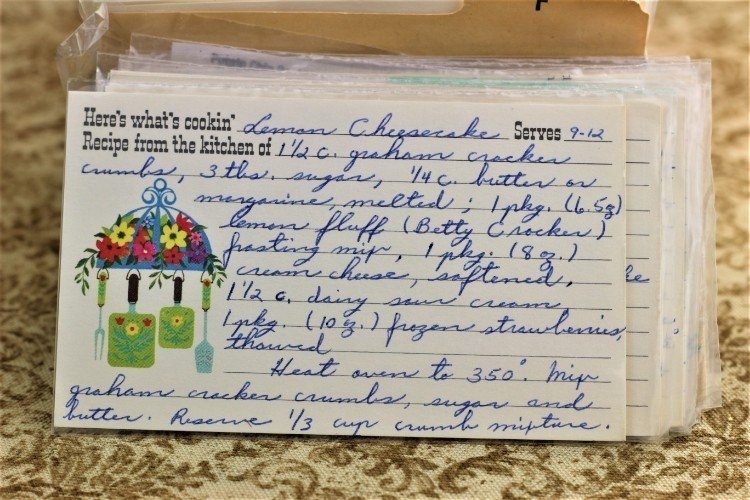 Front of the recipe card for Lemon Cheesecake. 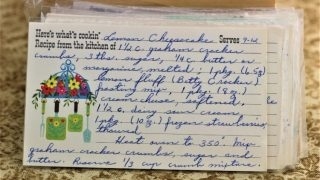 Back of the recipe card for Lemon Cheesecake. 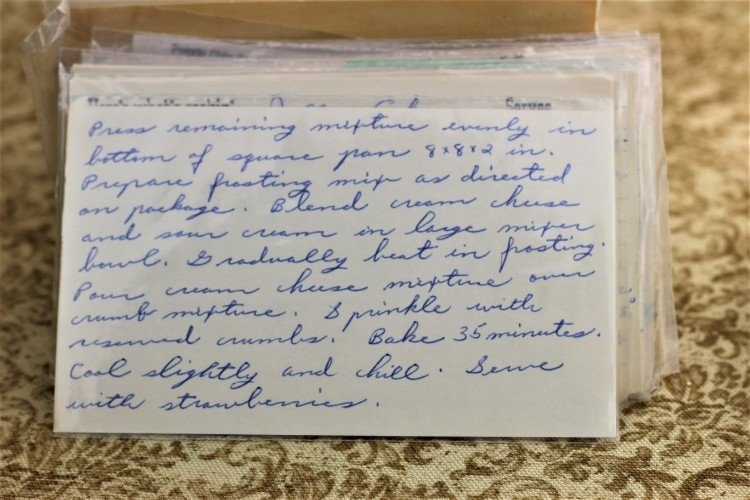 There are lots of fun recipes to read in the box this recipe for Lemon Cheesecake was with. Use the links below to view other recipes similar to this Lemon Cheesecake recipe. If you make this Lemon Cheesecake recipe, please share your photos and comments below! Mix graham cracker crumbs, sugar and butter. Reserve ⅓ cup crumb mixture. Press remaining mixture evenly in bottom of square pan 8x8x82 in. Prepare frosting mix as directed on package. Blend cream cheese and sour cream in large mixer bowl. Pour cream cheese mixture over crumb mixture.